Man’s Picture not included. Replace it easily with your own stock via smart object. Man’s picture: Double-click on the smart object layer « Double-click to edit », place your picture in the newly opened window and save. Wise Man. 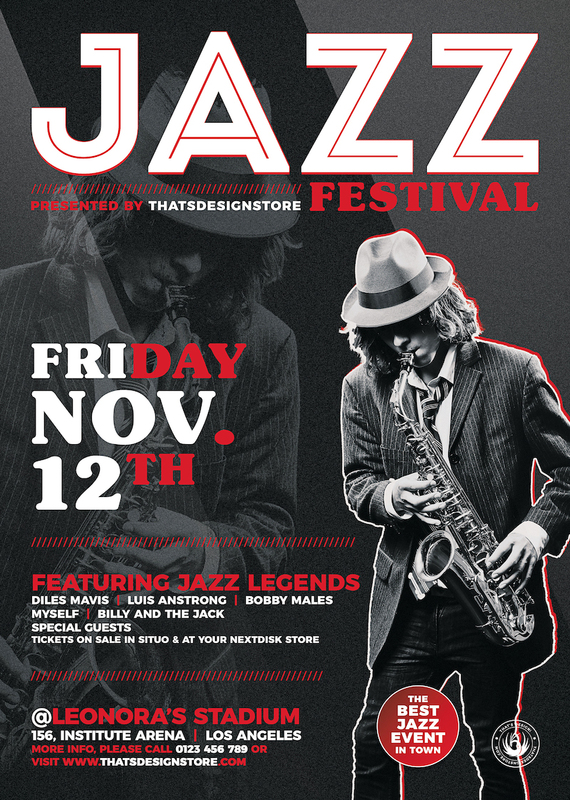 I absolutely love Black Music and try to bring that passion into my designs. Hope you’ll like this one. 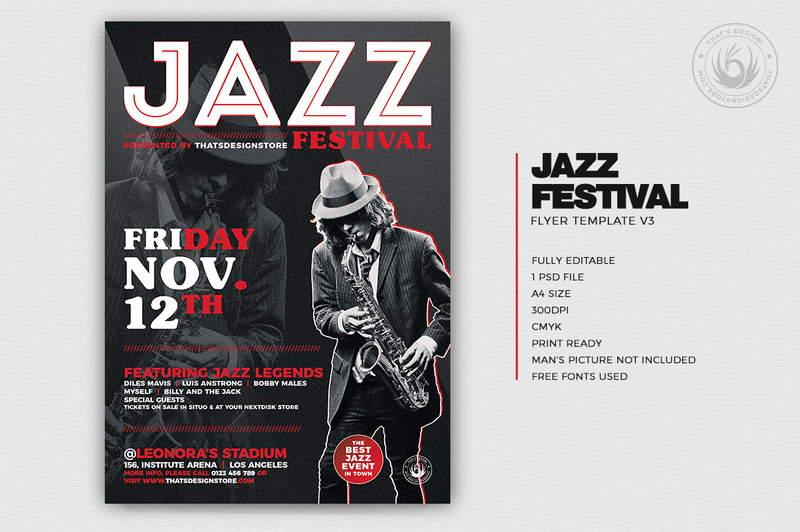 Get the full Photoshop psd 100% editable. 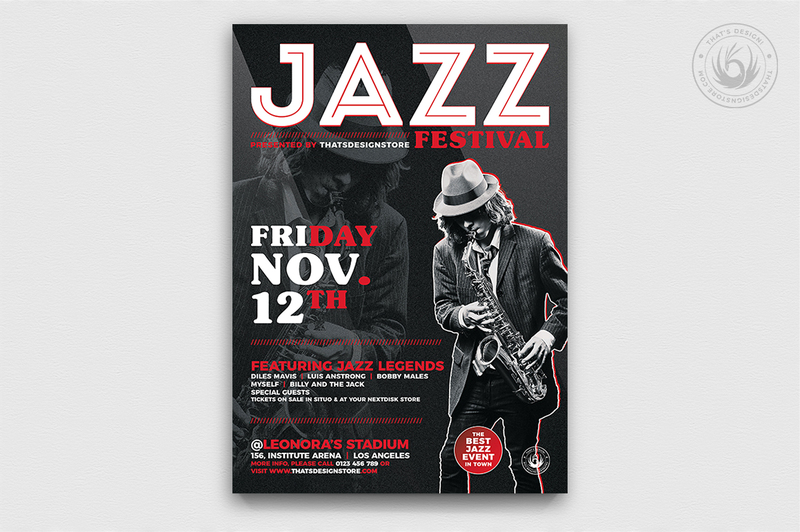 Check out this Jazz Festival Flyer Template psd 3 designed to promote a Jazz Band, Concert.